The WNA-150 is a simple, compact wireless USB adapter for innovative wireless connecting system that allows Roland electronic musical instruments to communicate fluidly with Smartphone/Tablet. By simply connecting the WNA-150 to your supported Roland instrument, a new world of enjoyment with your electronic instruments will open. Use the Smartphone/Tablet apps and a wireless USB adapter to enhance your skills and enjoyment – from easy remote access, to recording and practicing to participating in online worldwide rankings with drummers from around the world. 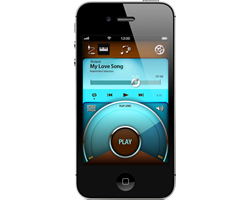 Connects your Smartphone/Tablet and electronic instruments wirelessly. Use supported apps and expand your network of fun. V-Drums Friend Jam for iPhone is a social-networking tool where drummers from around the world can compete. Piano Partner is a unique iPad app that provides a fresh, interactive way to learn music and digital notation of onboard songs to play a piano. There are still many apps to expand your network of fun. 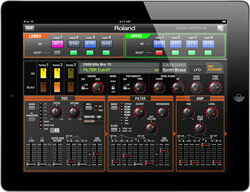 Check out the full lineup of apps from Roland and Boss! 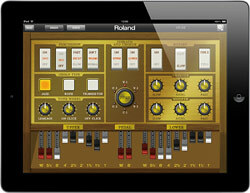 The WNA-150 supports a variety of Roland electronic musical instruments to communicate fluidly with iPhone/iPad/Android. * Make sure your instrument is updated with the most current OS. Some models may require a system update. * Please refer to each application page to know what instruments are supported. * When WNA-150 is unavailable, ONKYO UWF-1 Wireless USB Network Adapter is also compatible with some of Roland instruments. For more details, please see specification page. Easy connection to the USB jack on your instrument. 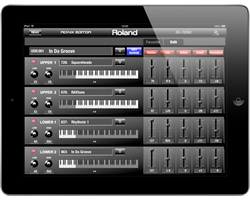 Simply connect the WNA-150 Wireless USB Adapter to the USB port of your supported Roland instrument, and launch the Smartphone/Tablet app. * Internet connection and wireless LAN access point required. * Please refer to the owner’s manual for wireless LAN settings on each Roland instruments. * When you use ONKYO UWF-1 with RD-800/700NX/300NX or FP-80/50, please note that USB port of these instruments is narrow. 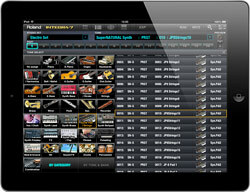 The RD-NX Editor lets you select your favorite Live Sets instantly and edit your Tone layers visually. INTEGRA-7 Editor provides graphical control of INTEGRA-7's synthesizer parameters, such as SuperNATURAL Synth Tones, Part Mixer, and Motional Surround remotely. 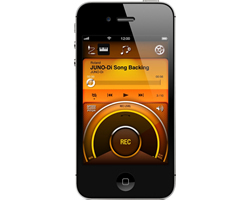 An app that lets you enjoy high-quality wireless recording with easy operation. 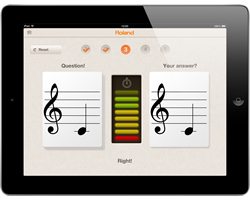 Piano Partner is a unique iPad app that provides a fresh, interactive way to learn and play a piano.